Remanoir is my current body of work. It celebrates the changing seasons of the place where I live; the life, death and changes of semi-rural Central Victoria. Each image is printed to a limited edition and some are taken further when I hand colour them using beautiful soft pastels, thus producing unique works of art. Feel free to contact me about buying to order any of my work. I can also arrange framing if you like. Some very attractive images here Sharon..I think my favourite is the young gum leaves! Thanks Leanne for the feedback, I love all the pics and it is hard to choose a favourite for me. What beautiful images! 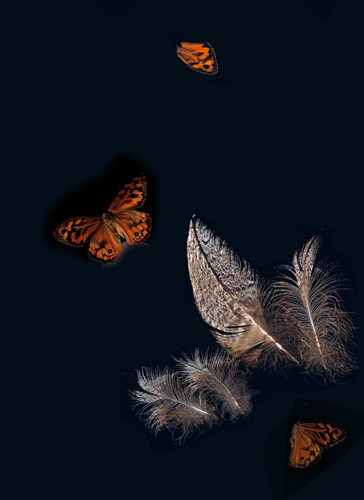 I especially love the drama of the red butterflies and feathers image. Thanks for the feedback Tru, I appreciate it! 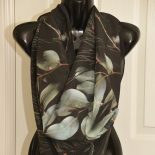 This entry was posted on April 2, 2013 by sharongreenaway in art, bendigo, environment, exhibition, fauna, flora, nature, photograms, photography, photography for sale and tagged art, body, photogram, photography, remanoir, Sharon Greenaway, work.